California Judge Consolidates ALL Malibu Media, LLC Cases, and WHY THIS IS BAD. This post is not going to be one of your favorites, because not all my posts are going to similar to my “Malibu Media Goes Down in Flames” article (or the many other positive ones I have written to date). In short, when a judge consolidates a copyright troll’s set of cases, that is generally a really good thing. In the “olden days” (meaning, two years ago), lawsuits used to have literally THOUSANDS of John Doe Defendants in each case. The problem was that when those monster cases would fall, they would make a huge thump sound and thousands of defendants would go free with one judge’s order. As we predicted many months ago, the newer lawsuits would be smaller with fewer John Doe Defendants in each case. That way, if a “Malibu Media, LLC v. Does 1-10” case went bust, there would be twenty other cases still standing. Plaintiff attorneys quickly figured this out and started to sue just a few defendants in each lawsuit. Similarly, in the older cases, plaintiffs would clump together defendants from all over the country and they would sue them in the WRONG STATE. Obviously the rule the copyright trolls overlooked at the time is that “in order to sue a defendant, you need to sue a defendant where the DEFENDANT resides,” not in the court which is closest to the plaintiff attorney’s Chicago office. This was the issue of PERSONAL JURISDICTION (or more accurately, “improper jurisdiction”), where the plaintiffs would sue defendants in the wrong courts. However, more and more, we see with the Malibu Media, LLC bittorrent cases and the copyright infringement cases from other plaintiff attorneys (e.g., Jason Kotzker, Mike Meier, etc. ), they are purposefully suing defendants in the CORRECT STATES so jurisdiction in most cases IS proper. In mostly every bittorrent case, there is still the issue of JOINDER which we have written about too many times to list. In short, in order to properly join together MULTIPLE DEFENDANTS in the same lawsuits, those defendants needed to have done the SAME CRIME AT THE SAME TIME. The actual legal terminology is the “same transaction or occurrence.” In the bittorrent world, that essentially means that the bittorrent users (now John Doe defendants) needed to have taken part in downloading and uploading copyrighted Malibu Media’s movies in the same bittorrent SWARM. 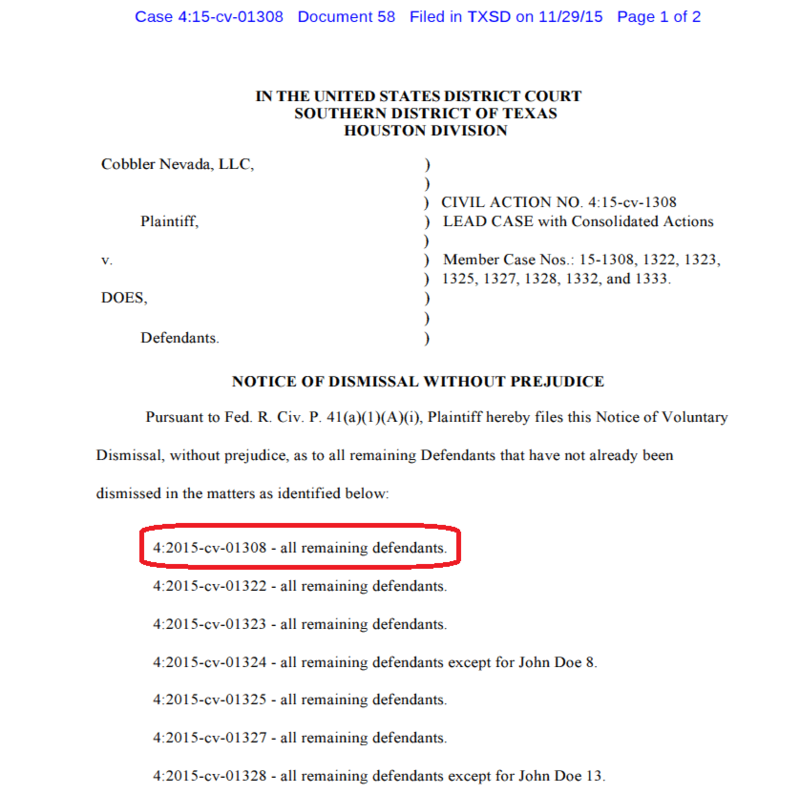 While this argument of improper joinder does not become relevant until a defendant is “named” as a defendant (meaning, served with paperwork which means they are no longer a John Doe, but their real name has been listed in an “amended complaint” in the case’s docket), it is still a problem with pretty much EVERY bittorrent case today (with exception of the various lawsuits by Kevin Harrison and Paul Lesko in his 4Twenty lawsuits where they sometimes sue the swarm rather than specific John Doe Defendants). However, it is not relevant to this discussion, but it was still worth noting. The problem many copyright trolls are now facing in the courts is that NOW THAT THEY HAVE CHANGED THEIR LAWSUITS TO SUE SMALLER NUMBERS OF DEFENDANTS, they usually “forget” to inform the court of RELATED LAWSUITS that they have also filed against other bittorrent users (this violates a number of federal courts’ local rules which could jeopardize their many cases). The result of the plaintiff attorneys not telling the courts of the HUGE NUMBER OF LAWSUITS IN EACH COURT (you can look them up on http://www.rfcexpress.com just to see a few examples) is that each case gets assigned to a different judge (copyright trolls love this and actually rely on this when forum shopping), and each judge interprets the law as he understands it. In short, not linking the case together results in some bittorrent cases being dismissed by some judges in one court, and in some bittorrent cases (against other John Doe Defendants) being allowed to proceed by other judges in that same court. In short, not informing the court of related lawsuits results in INCONSISTENT RULINGS by different judges in the same district court. This is called a SPLIT in the court’s decisions (even though the term “split” usually indicates judges from one jurisdiction (e.g., Southern District of New York) ruling one way, and judges from another jurisdiction (e.g., Central District of California) ruling another way. The wonderful result we have seen from the torrent of lawsuits that have flooded the dockets of many federal courts across the U.S. is that judges have begun to CONSOLIDATE CASES and give one ruling that affects ALL OF THEM. In other words, no more inconsistent rulings. As exciting as this might be, for a while, we thought that when a judge consolidates cases, it is for the purpose of shutting them all down together (“the bigger they are, the harder they fall”). This has happened to a few attorneys’ cases already, and A CONSOLIDATION USED TO MEAN THE DEATH OF ALL THAT PLAINTIFF ATTORNEYS’ CASES. However, this is no longer the case. As we learned in the Southern District of New York when Judge Forrest clumped together all of Mike Meier’s bittorrent cases, we thought this was the end of them once and for all. WRONG. Now, months later, we understand now that Judge Forrest consolidated the cases merely so that she can MANAGE THEM TO AVOID INCONSISTENT RULINGS. To our shock and horror, Judge Forrest had no interest in killing Meier’s cases. Now comes Leemore Kushner‘s new bittorrent cases in the Central District of California, all from the Malibu Media, LLC (a.k.a. 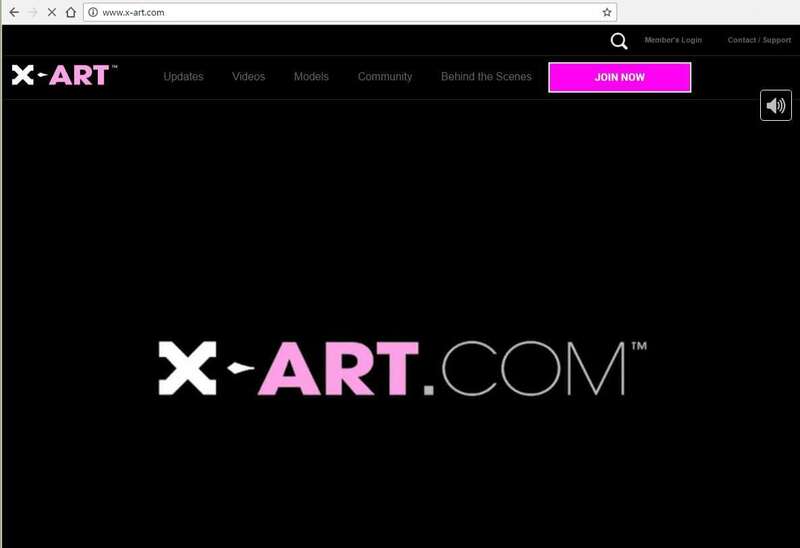 the “X-Art.com”) plaintiff. Following the copyright troll strategies of Jason Kotzker, Chris Fiore, Adam Silverstein, and Mike Meier, Leemore Kushner (see http://www.kushnerlawgroup.com [great website, by the way; almost as good as Kevin Harrison’s website]) filed a whole bunch of cases in the California Central District Court. However, she failed to tell the court that all of her cases were all related. Seeing all of these cases, no doubt the issues of copyright trolling, extortion, clogging up the court’s docket, and whether Kushner actually intends to take these defendants to trial or not was on his mind… or was it? I’m not so sure. Judge Klausner consolidated his cases with an ORDER TO SHOW CAUSE why these cases should not be dismissed for… LACK OF PERSONAL JURISDICTION?? In short, here are a large number of cases, and if Judge Klausner was against these copyright trolling / extortion-based lawsuits, he would have asked Leemore Kushner to explain to the court why these cases should not be dismissed for any of the other INHERENT FLAWS in these bittorrent cases, but NOT PERSONAL JURISDICTION. The reason I say this is because IF THERE IS ONE THING MALIBU MEDIA, LLC GOT RIGHT IN THEIR LAWSUITS,IT IS PERSONAL JURISDICTION. You could be damn sure that is Leemore Kushner sued someone in California, then THEY LIVE IN CALIFORNIA. If Jason Kotzker sued someone in Colorado, then THEY LIVE IN COLORADO. The plaintiff attorneys have too much common sense from the mistakes of the past two years to sue people in the wrong jurisdiction. For this reason, I am sad to say that I am not jumping up and down for joy about the fact that all these cases were consolidated because I do not think they are going bust just yet. Anyone that speaks to me knows that I believe these cases have some really bad flaws which, if taken to trial, would cause Malibu Media, LLC to LOSE EVERY TIME. However, I suspect Malibu Media knows this as well which is why the game for them is to 1) sue John Doe Defendants, 2) settle as many as they can, 3) “name” those who do not settle, 4) settle those who are named for a higher amount, 5) go for a default judgement ($750 + ~$2K attorney fees, or $30K + attorney fees, but I’ve never seen a $150K default judgement), or dismiss those who are named, 6) re-file individually against those who did not settle, 7) settle with higher stakes, and 8) rinse and repeat. In short, I’m not so optimistic about this one, and neither should you be. Until we see the words “improper joinder,” “scheme,” or “extortion” come out of this judge’s mouth, it looks to me as if we have a troll-friendly judge who just wants to manage these cases. You can see his order here.